The fist day is pretty much the same for everybody. We all going to attend initial sessions, as there is no other choice. And with last year in mind I for sure don’t want to miss the intro. I have no idea what Tobias prepared for us this time, but I expect awesomeness. After lunch some of us can be more picky. For me choice starts later though – I have my first session in the very first slot possible. It will be all about PowerShell on Linux and GitHub. So open source, open source, cross platform and more open source. Next slot is where hard choices start. I’d love to join Matt’s presentation, but I guess I will end up with dbatools masterminds. I really want to kick off EWS and even though it’s nothing comparable to what Chrissy and Rob are working on I hope that some ideas with proper scale may be applicable in my case too. Last slot was already booked with Ravi on DSC – but I had to adjust my plan. As too much Rob maybe too overwhelming I probably will try to join Jared’s session. Based on last years experience, may be a tricky one… Standing room only is what I expect there. Next slot – no plans yet. I may need something to cool me down, so perhaps RegEx session? It should be fun one to see. And the last slot is going to probably be Blue Badge holder again. I love to watch Kenneth on stage, and topic is also dear to my heart. On the other hand – Jaap’s topic could also be fun to see… Benjamin knows his stuff as well, and CI is again something I would love to see done by others. ARGH! It’s not getting any easier on the last day. I would love to see Thorsten notes about containers (but language barrier may push me to another room). I’m also curious what David is going to present. But also Matt’s session on secure credentials may be very useful for me – we struggle with that one a bit at work too. Next slot – for me it has to be Jaap and Jason. Level is a bit discouraging here, but having fun with PowerShell – I’m all in! For the next slot I would have doubts before, but none left now. I want to hear about PowerShell remoting from PowerShell remoting expert. No half-truths, unchecked “facts”, or mixing terms here. Accurate to the very core. And on the subject dear and close to my heart. After lunch it finally gets a bit easier. With the first slot I’m still on the fence and need to decide if I want to see Angel on PowerShell plans or Staffan on cmdlet design. Next slot the choice is pretty simple, but I will have to be in different room and present on TabExpansion. I’m glad that this session is the last one I’m going to present on. I can do that one with eyes closed, hands tide and with laptop running Windows 7 (fortunately I don’t have to ). And finally the last slot – I really want to see Daniël’s presentation. He is our SCOM expert at work, plus he is very skilled PowerShell scripter. I expect great ideas in this session, one that anybody can take home and start using instantly (if she or he has SCOM at work, that is ). As you can see – my plans are almost crystal clear now. The problem is that once I get there – plans may change. With 3 exceptions that won’t move for sure, obviously. Good news is – I can actually change them, because I’m pretty sure that whichever room I choose, I will learn something useful. With potential exception for rooms with German sessions… my German works only in demos – cmdlets, functions and .NET classes, properties and methods are all in English, so I should be able to read code even there. With all that in mind – I hope that attendees will have a blast and I sure hope to see you there! 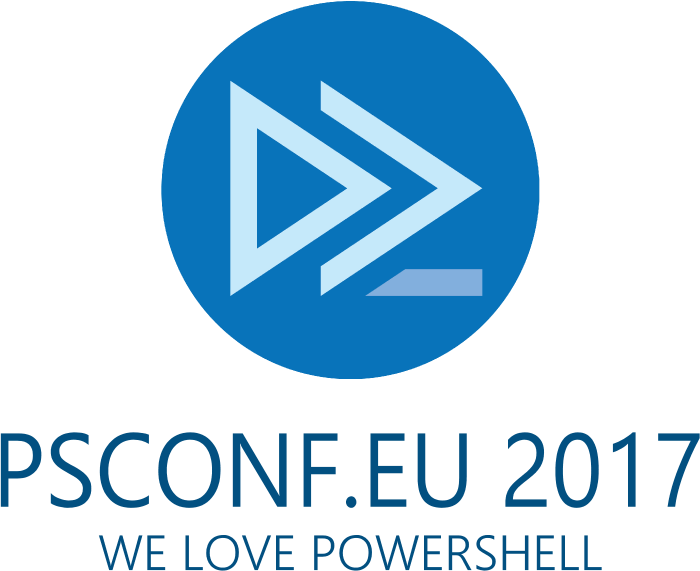 This entry was posted in Confrences and tagged PowerShell Conference EU by Bartek Bielawski. Bookmark the permalink.